Throwback Book Thursday Vol. 2: Fifteen – It's Lily O. As mentioned in my Book Tag, Beverly Cleary is one of my all-time favorite authors. While Ms. Cleary’s ability to create one of my favorite characters, Ramona Quimby, is a major reason she is on my list, her book Fifteen is another. I have purchased Beverly Cleary’s 1956 release (yep, you read that year right) Fifteen three times in my life. My first copy was reduced to pages after I read it so many times that the binding broke, I lost the second copy, and the third copy is hanging on by its binding alone. This book is that intriguing. 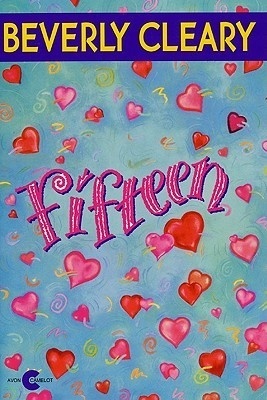 Fifteen is a fluffy, effortless love story that reflects the world as it existed in 1956 when it was written, and It’s probably why I enjoy romance novels today. Jane Purdy is a fifteen years old girl who is convinced that she lives up to her name, plain and boring. She longs to date and be a part of her high school’s social scene but is awkwardly out of place. However, a chance encounter with a local boy, Stan Crandall, may change things.